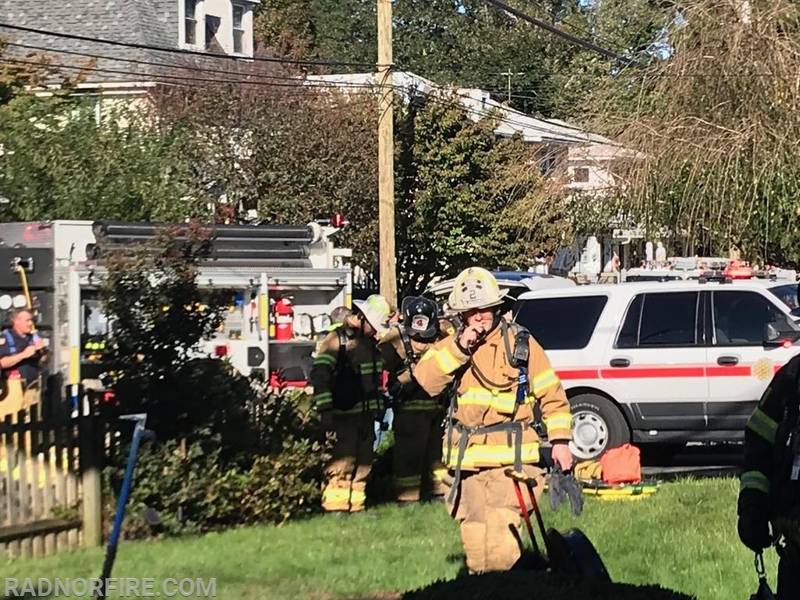 Radnor Fire Company was dispatched to the 400 block of W. Beechtree Lane in Wayne at 9:03 a.m. on Wednesday, for reports of a residential building fire with smoke showing from a bedroom. 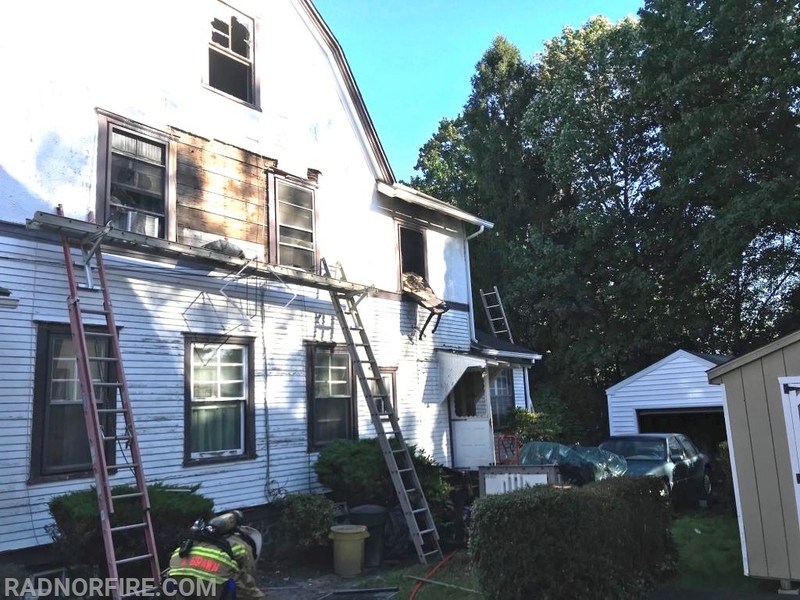 Quint 15, Engine 15 and Chief 15 were first on scene minutes later to find a twin, three story house with both smoke and fire showing from the rear bedroom. 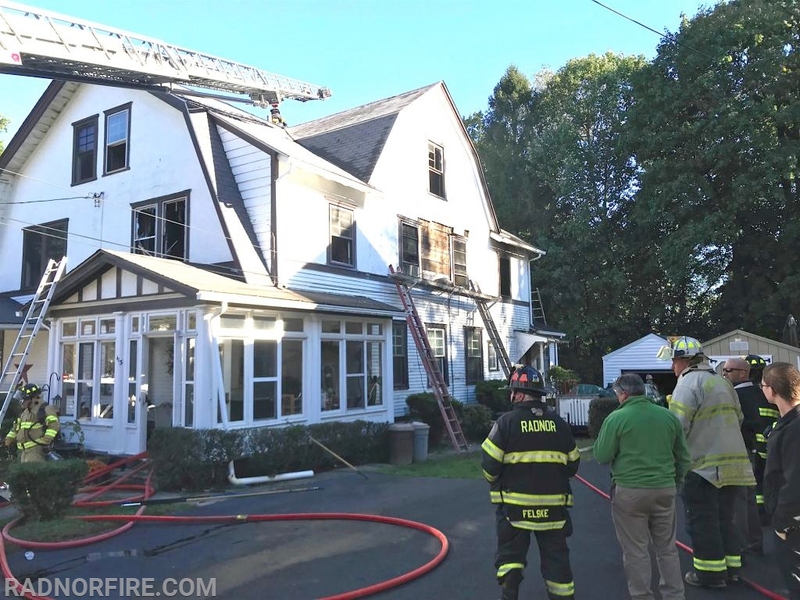 Radnor firefighters made entry and pulled lines to the second floor to find extensive flames and smoke coming from the rear of the home. 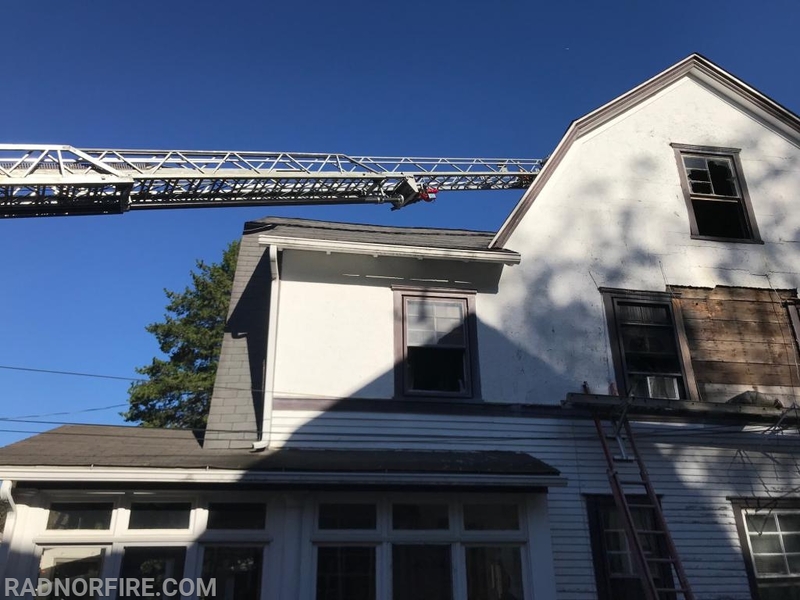 The crew put a quick knock on the fire on the second floor while Radnor and Berwyn Fire Company firefighters extended ladders to the second floor and began ventilation of the roof. 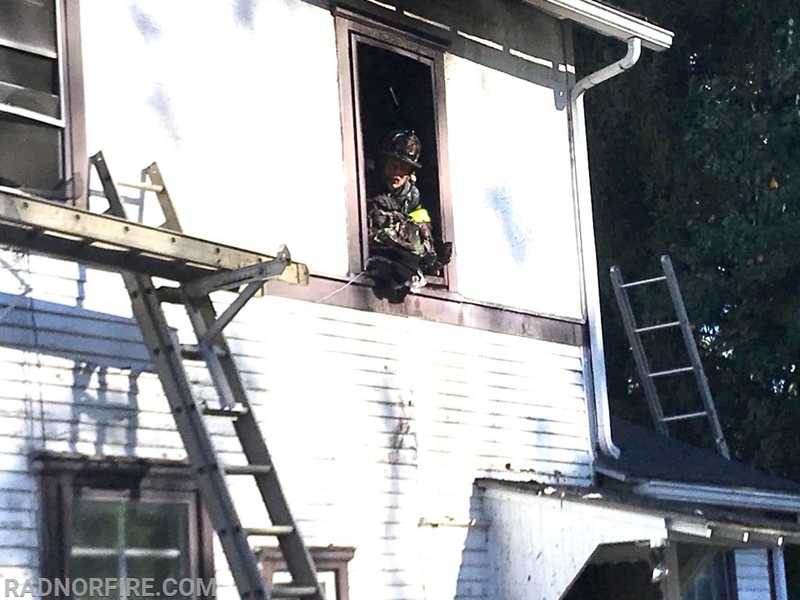 The interior crew then chased fire on the third floor and prevented the fire from further extension. 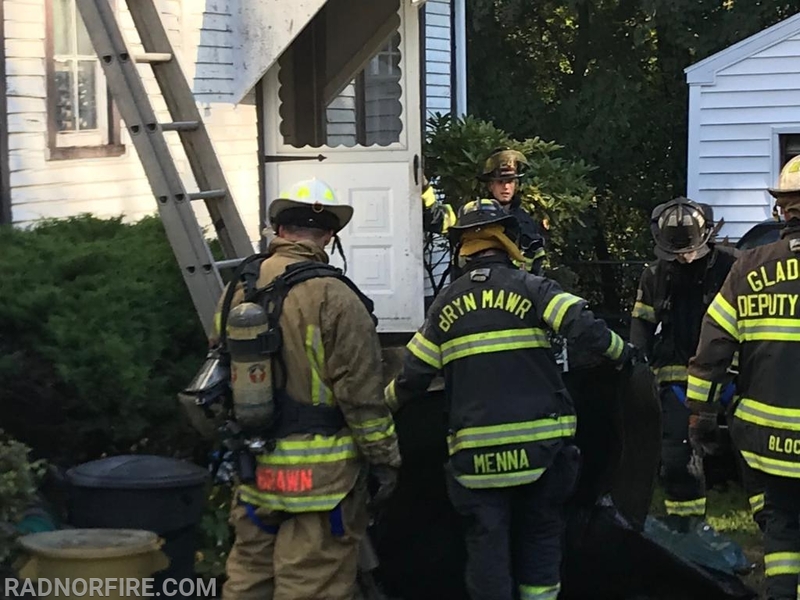 In addition to Berwyn Fire Company, neighboring mutual aid fire companies arrived on scene shortly after to lend a hand. 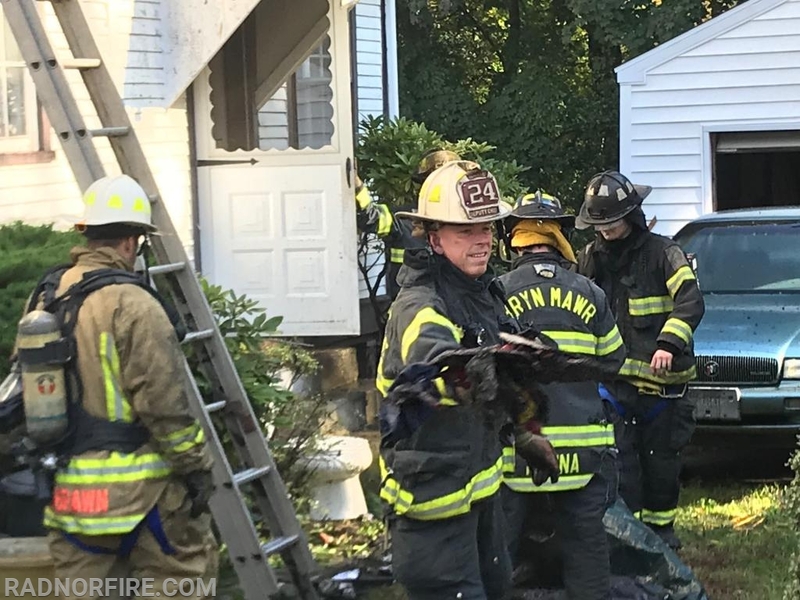 Companies responding included Bryn Mawr, Malvern, Paoli, Newtown Square and Gladwyne Fire Companies. Medic 108 Haverford/Narberth and Radnor Police were also on scene. The fire was put under control at approximately 9:30 a.m. Thanks to Manoa and Brookline Fire Companies for providing cover assignments at Radnor Fire Company during the incident. All companies were cleared from the scene by 11:15 a.m. There was one reported minor injury of a civilian. No first responders were injured during the incident.